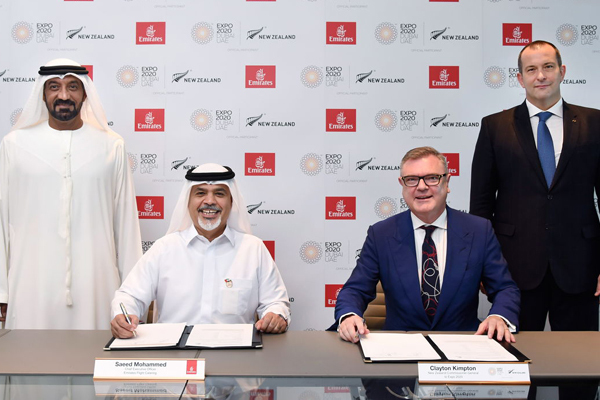 Emirates Flight Catering, part of the Emirates Group and one of the world’s largest caterers, has been selected to lead the hospitality and operations for the New Zealand pavilion at Expo 2020 Dubai. The New Zealand pavilion restaurant, part of New Zealand’s expansive 2,000sqm Expo 2020 presence, will be central to the country’s participation at Expo 2020. International visitors will experience premium New Zealand food and beverage products, prepared by Emirates Flight Catering’s skilled chefs. Members of Emirates Flight Catering’s experienced culinary team, made up of 1,800 chefs from 52 countries, will visit New Zealand early next year to source food and beverage products from experienced exporters for the pavilion restaurant. The agreement with New Zealand at Expo 2020 is further evidence of Emirates Flight Catering’s expertise and expansion outside of its core flight catering business. The company recently commenced construction of its vertical farming facility in Dubai - the world’s largest vertical farm, with an investment value of $40 million. It’s also expanding further into retail and consumer sectors, combining its culinary and production expertise to produce premium branded ice-cream and other food products.